Pull up your boat — or daydream about your new boat — at Hammerheads Dockside. 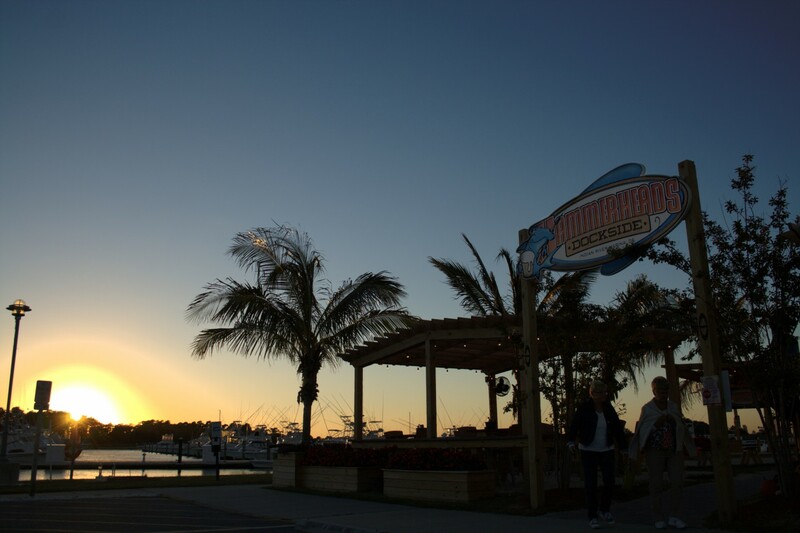 Overlooking the gorgeous Indian River Marina, Hammerheads Dockside is an island get-away, the perfect place to castaway your worries, to enjoy a sunset, a good meal, and a cold drink. Hammerheads Dockside is a full-service restaurant offering a fresh, vibrant menu. Open daily at 7 A.M.
Hammerheads Dockside is conveniently located inside the Delaware Seashore State Park located only minutes away from Bethany Beach, Rehoboth Beach and Dewey Beach with plenty of free parking. We do not accept reservations; seating is on a first come first serve basis. Please see hostess under the front of the Hammerheads Dockside sign to be seated when arriving.